Potato chips vary in grease content according to the type of chip. In its most rudimentary form, a potato chip is a super-thin slice of potato deep-fried in oil. 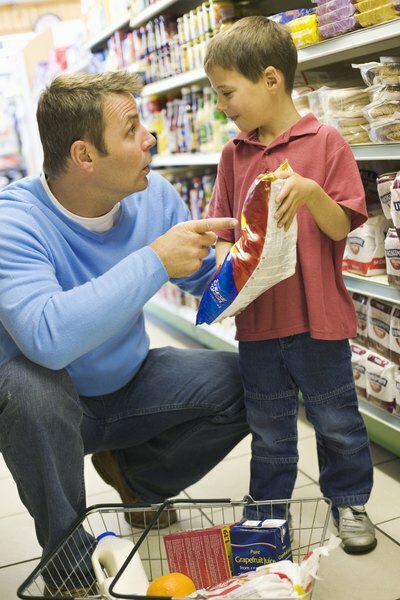 However, the modern snack food market has redefined potato chips to have a wide range of meanings. Now, there are regular, kettle-cooked, baked and air-popped potato chips, as well as potato crisps. These potato chips all have varied amounts of grease depending on the cooking methods. Ostensibly, baked and air-popped chips should have the least amount of grease, with regular and kettle chips having the most. There are also differences between mass-produced and small-batch "gourmet" varieties. Finding out the amount requires some experimenting. Science Buddies writer Michelle Maranowski, Ph.D., lays out a good test for finding the amount of grease from a particular variety of chip. In her test, she instructs the tester to place about one ounce of potato chips on a piece of graph paper. The chips are covered with wax paper and crushed into fine pieces, then left to sit for one minute. After one minute, the chips are thrown out, leaving a measurable grease stain on the paper. This experiment should be repeated three times for accuracy. To record the data, the tester measures and records the size of the grease stain, along with the fat gram content from the chip packaging. Done correctly, this test should show just how much grease is in a particular type of chip, along with the real amount of grease that corresponds with nutrition information values. Slate's Ben Wasserstein assembled a team of 10 reviewers to taste various potato chips, with many of them noting the grease factor. One gourmet brand, Kettle Chips, met with disapproval from two tasters, who said they're "so greasy that you will definitely have to wipe your hands on your jeans ... these chips could stain your shirt." The panel found that Lay's Kettle-Cooked brand tasted best and was less grease-laden than the rest, but was made with very unhealthy hydrogenated oils. The verdict? 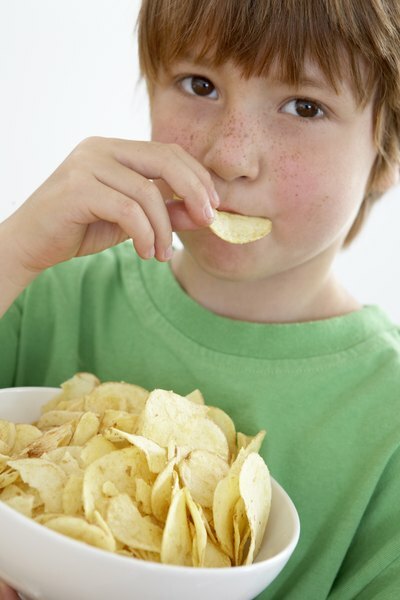 Chips with hydrogenated oils may be less greasy than others cooked in safflower, olive and other natural oils, but they're worse for your health. The more gourmet the chip, the more likely there will be an increase in grease. Science Buddies: How Greasy Are Your Potato Chips? Slate: Are Gourmet Chips All They're Fried Up To Be?